Het bericht GEM Fuel and the DRIVE DMACK Fiesta Trophy in 2015…What’s Next? verscheen eerst op Gutts. The 2015 Drive DMACK Fiesta Trophy marks the beginning of some exiting developments in the renewed partnership between GUTTS and M-Sport run Drive DMACK Fiesta Trophy. Supported by a strong partnership of Abengoa, ePure, OCI, Methanex and the Methanol Institute, a new research project will be launched and policymakers across Europe will be engaged to learn how sustainability, innovation and rallying to provide them with an insight into road applications. In joint corporation with the Powertrain and Vehicle Research Centre in Bath University in the UK, M-Sport and GUTTS will execute a research project to compare ´old´ and ´new´. The start of the 2015 season sees the introduction of the newly developed Ford Fiesta R2, sporting an all-new EcoBoost 1.0 litre, three-cylinder engine. This truly remarkable turbo charged engine literally redefines the rulebook as does GEM Fuel. The new combination triggered the question…what effect does this smart engine/fuel combination have on technical and sustainable performance? Before the end of the season the results will be ready and provide a benchmark future developments. Both ePure and the Methanol Institute as the respective trade organisations for ethanol and methanol industry will be visiting the events on the 2015 calendar and invite along relevant stakeholders to come and learn about GEM Fuel, meet the drivers, teams, technicians and most of all enjoy the show! The 2015 season of the Drive DMACK Fiesta Trophy is an open invitation to all that are interested to learn how sustainability, innovation and rallying work together. But above all the battle for the title will thrilling and exciting with so many young drivers giving their on the stages. All involved look forward to 2015! Het bericht Get the best out of GEM Fuel with these tips and tricks! verscheen eerst op Gutts. Below a general message to all our GEM Fuel drivers, tuners, team owners and other customers. Running GEM Fuel creates an excellent performance boost to almost all engines (atmospheric or turbo). To ensure that this performance will remain in your car, we have written down a few best practices for the use of GEM Fuel. Please share this information with your engine mapper or tuner. GEM Fuel has the same AFR properties as common E85 fuel. For this reason the same injector size and the same fuel mapping as with E85 can be used as a starting point in your mapping. Since in reality the mixture of E85 can vary over the season, it is advised to always check the engine mapping when GEM Fuel is applied. Please note that GEM Fuel and E85 are similar, though NOT the same! 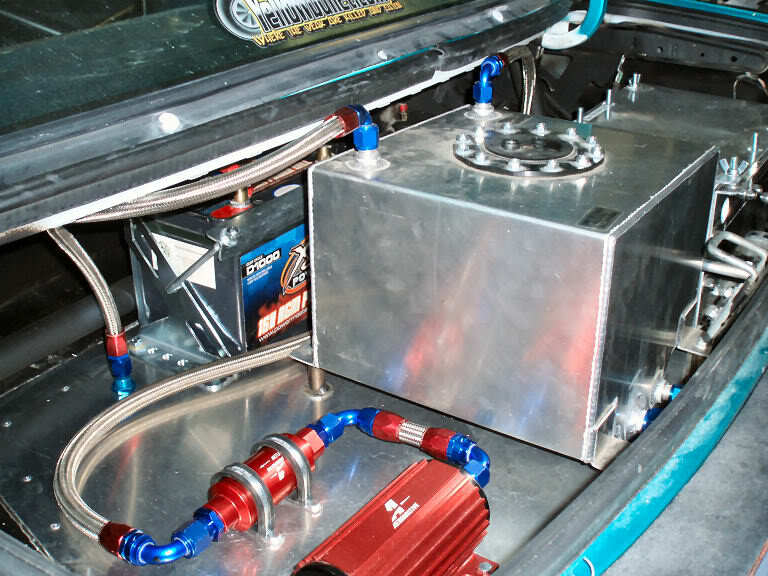 GEM Fuel creates a better performance because of the methanol content and requires correct mapping at all times. The octane rating of GEM Fuel is more or less equal to E85. Depending on the exact composition of E85, a difference of +-1 point in both directions can occur. It is good to know that for alcohol-based fuels like GEM Fuel the octane number is not directly comparable to ordinary gasoline, as far as engine-knock is considered. The strong charge cooling effect of the alcohol strongly helps reducing engine knock. This effect is not taken into account in the classical RON and MON octane test. Summarized: to be sure about engine- safety and get the maximum performance from your engine: check the ignition mapping on a dyno, using appropriate knock detection. Especially in highly turbocharged engines with high in-cylinder temperatures, a specific effect can happen in alcohol-based fuels. In presence of materials that act as a catalyst, hydrogen can be formed during combustion. The same material can help ignite the hydrogen, which can be a starting point for the combustion of all fuel in the cylinder. Since this start of combustion is uncontrolled such materials are unwanted in the cylinder. Well known is the catalyst function of platinum or iridium. Both materials are nowadays often used in premium spark plugs. These spark plugs are not advised for alcohol fueled racing cars. 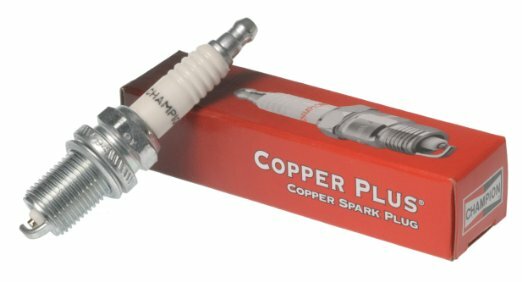 Use plain copper spark plugs with an appropriate heat grade. Main reason for application of precious metal plugs is their long life (often over 100.000 km), which is not relevant for racing cars. Both petrol and alcohol are strong solvents. Not all materials are compatible with these fuels or mixtures of them. 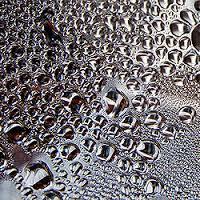 Especially some rubbers and plastics are sensitive for this and can swell or solve. GEM Fuel contains methanol, which has different properties than the ethanol from E85. It is advised to regularly check filters in vehicles that are fueled with E85 or GEM Fuel. Cases are known where the fuel tank foam was found in filters, or some debris or coating from jerry cans was found in the inlet filter of the fuel pump. Regularly check your Fuel System! Instead of the boiling trajectory of traditional petrol, alcohols have a boiling point. 65 °C for methanol and 78 °C for ethanol. This has some influence on the engine: it is common that some fuel (petrol or alcohol) condenses into the engine oil. Especially on competition cars, which are often running quite rich when cold, this can be quite some amount. On petrol cars this fuel slowly evaporates during the warming up of the engine. On alcohol fueled cars all alcohol will boil out of the oil when the oil reaches the alcohol boiling point. With a closed positive carter venting system this will increase the fueling amount into the engine. This will not induce any problem, although one should be aware of it when setting up a Lambda control or creating a new mapping. Het bericht GUTTS and Racing Fuels Belgium join forces in Belgium verscheen eerst op Gutts. For both the supply of the Hiperflo performance fuels for the Belgian Rally Championship and the general supply of current and future GUTTS performance fuels, Racing Fuels Belgium and GUTTS have joined forces. The extensive knowledge of the Belgian market for performance fuels, their experience in operational and financial logistics makes Racing Fuels Belgium a premium choice as reseller and agent for GUTTS in Belgium. In the coming months Racing Fuels Belgium will launch its new website, where all GUTTS fuels will be available for direct purchase and speedy delivery in Belgium. Until that time please feel free to contact either organisation for more information on the products available. Het bericht GUTTS launches refuel operation Belgian Rally Championship in Haspengouw Rally 2015 verscheen eerst op Gutts. Last weekend’s Haspengouw Rally 2015 saw the debut of a new refuelling operation in the Belgian Rally Championship. After a thorough selection process in 2014, the RACB selected GUTTS as the fuel supplier for the Belgian Rally Championship. After an intensive development process for the new refuel zone together with partners Hamer, for the development of the certified mobile refuel units, and Bas Koeten Racing, for the execution of the operation, all competitors enjoyed a smooth and safe refuelling operation. In 2014 the RACB started its selection procedure for a fuel supplier, focussing on both safety, cost and service. GUTTS won this procedure and started the preparations for the supply of fuel to all competitors of the Belgian Rally Championship. GUTTS is both proud and honoured to be selected for the job and hereby extends gratitude to the RACB, Rally organisers and competitors and wishes everybody an exciting and safe 2015 season! Any parties requiring assistance or having questions, please get in touch at info@gutts.nl. Het bericht Technische update: Carless Turbo Ultimate 2014 verscheen eerst op Gutts. De technische reglementen voor het Belgian Rally Championship 2015, te raadplegen op www.racb.com (rubriek Sport, Rally, Reglementen), bevatten geen verrassingen. Wat de moderne klassen betreft, blijven dezelfde klassen en wagentypes toegelaten in het BRC 2015. In Groep M zijn de schalen van het minimumgewicht aangepast en voor wagens van de Groepen WRC, S2000, R5 en R4 is het gebruik van FIA-gehomologeerde banden (banden conform Bijlage V van het sportreglement 2014 voor regionale rally’s van de FIA) verplicht vanaf de Rally van Wallonië (meer bepaald vanaf 15/04/2015). Zoals eerder al aangekondigd, zal GUTTS vanaf dit seizoen de exclusieve leverancier zijn van speciale competitiebenzine, zoals bepaald in het sportreglement van het BRC 2015. Op vraag van de meeste deelnemers, werd beslist een derde competitiebrandstof toe te voegen aan de lijst brandstoffen die exclusief geleverd zal worden door Gutts in het BRC 2015: Carless Turbo Ultimate versie 2014. Pouvant être consultés sur le site www.racb.com (rubrique Sport, Rallye, Règlements), les règlements techniques du Belgian Rally Championship 2015 ne comportent pas de grandes surprises. Au niveau des catégories modernes, les mêmes classes et types de voitures sont acceptées dans le cadre du BRC 2015. En Groupe M, les échelles des poids minimums ont été adaptées. Pour les voitures des groupes WRC, S2000, R5 et R4, l’utilisation de pneus homologués FIA (conformes à l’Annexe V du règlement sportif 2014 des rallyes régionaux de la FIA) sera obligatoire dès le Rallye de Wallonie (plus précisément à partir du 15/04/2015). Comme annoncé précédemment, Gutts sera dès cette saison le fournisseur exclusif du carburant spécial de compétition, comme le précise le règlement sportif du BRC 2015. À la demande d’une majorité de concurrents, il a été décidé d’ajouter un troisième carburant de compétition à la liste des carburants qui seront proposés en exclusivité par Gutts pour le BRC 2015: la Carless Turbo Ultimate version 2014. Het bericht Drive DMACK Trophy winner Sander Pärn lands huge rally prize verscheen eerst op Gutts. Salou (Sunday) – Estonian Sander Pärn (22) and Welsh co-driver James Morgan (23) have been crowned 2014 Drive DMACK Fiesta Trophy winners on the series finale at Rally de España today. Holding a strong lead after winning the opening three rounds of the series, the pair put in a measured drive to secure the title with a 19-point advantage. Their reward is the biggest prize in world rallying – a seven-round programme in the 2015 FIA WRC 2 championship driving a Ford Fiesta R5, run by M-Sport. Pärn had taken a 29-point advantage into the final round which championship rivals Tom Cave, winner last time out in Germany, were unable to overhaul. The Welsh driver led for much of the mixed-surface event after Pärn lost a minute on Friday when he was caught behind a slower competitor. Cave was forced to push hard for the additional points awarded for stage victories but he slid off the road this morning, lost three minutes and dropped back to second. That left local ace Nil Solans to take a well-deserved victory on their home event. Solans (22) used his home advantage to good effect, setting a raft of competitive times including his first-ever fastest stage time on Friday. When the rally switched to asphalt he upped the pace to take his maiden win by two minutes and two seconds from Cave. After his stage win on the opening super special stage in Barcelona on Thursday night with tens of thousands of spectators, Frenchman Quentin Gilbert was the early pacesetter on Friday’s gravel stages winning all the morning’s tests and opening up an early 28-second lead. However, his perfect start soon came to a halt when he slid off the road and damaged the suspension on his Ford Fiesta R2 – ending his bid for a maiden victory. Gilbert returned to dominate the time-sheets with 11 stage wins – the extra points helping them secure third overall in the championship. Pole Szymon Kornicki finished third today and collected his first podium in what was easily his best performance of the season. He edged out Max Vatanen by just 1.9 seconds but Vatanen’s finish earned him enough points to secure the hotly-fought Rookie Award and a place in the Shoot Out final to win a one-off drive with a Fiesta R5. Ghislain de Mevius finished sixth after an event of mixed fortunes while Lebanon’s Nicolas Amiouni returned after crashing out on Friday’s final stage to finish eighth. Leo Urlichich also had his share of problems after retiring when brake issues saw him collide with a bridge but he bounced back to complete the event in ninth. The 50th anniversary edition of Rally de España was the only dual-surface rally of the season. Saturday’s action comprised a loop of stages closer to the host town of Salou including the whopping 50km Escaladei stage celebrating the rally’s history. Today’s action concluded with 4 stages completing 372.96km contested across 17 competitive stages. Dutch driver Timo van der Marel also secured a place in the end of year Shoot Out after a strong drive saw him top the non-Trophy runners. It’s been a hugely successful inaugural season for the Drive DMACK Fiesta Trophy. The successful partnership between tyre manufacturer DMACK and M-Sport has resulted in a fiercely-fought series. The concept was to provide a cost-effective entry level into the FIA World Rally Championship, however, the package of identical M-Sport-prepared Fiesta R2 cars, sustainable GEM racing fuel and control DMACK tyres has proved ultra-competitive. At Rally Finland, Pärn powered his way to a remarkable 16th overall – scoring the highest ever WRC finish for a Fiesta R2. The Drive DMACK Fiesta Trophy will continue in 2015 with an all-new, one-litre turbo engine and information on registrations will be released soon. The fuel supply was again carried out by GUTTS on behalf of the Trophy’s official partners Abengoa, ePure, Natgasoline, Methanexand the Methanol Institute. GUTTS Chairman Edward Goossens looked back on two successful years in World Rallying: “In 2013 and 2014, 38.070 liters of GEM Fuel has been used as the fuel of choice in the Fiesta R2 young driver categories of the World Rally Championship resulting in a reduction of a total of 65.817 kg of CO2. That is something to be proud of!” Supported by its partners, Abengoa, Methanex, Natgasoline, e-Pure and the Methanol Institute, and in close cooperation with M-Sport and the FIA GUTTS received approval for the supply of GEM Fuel at the start of the 2013 season. Since then the use of GEM Fuel enabled 24 young drivers to compete over 16.000 kilometers, 4.000 stage kilometers on 234 stages in 10 events and 2 champions were crowned! “We have been instrumental in helping world rallying becoming more environmentally conscious. And we are looking forward to do so in the future,” commented Edward Goossens. After a successful debut in 2013, GUTTS, the world’s first supplier of sustainable race fuels and a strong partnership of Abengoa, ePure, OCI, Methanex and the Methanol Institute, was again chosen by M-Sport and approved by the FIA to supply GEM Fuel for the inaugural Drive DMACK Fiesta Trophy. From 2014 onwards GEM Fuel will technically remain identical, but will mark a new and very innovative sustainable methanol called Vulcanol. This renewable methanol is produced by capturing carbon dioxide from industrial emissions and converting this CO2 into liquid methanol, sporting a 97% CO2 reduction compared to regular petrol. This new type of methanol will further reduce CO2 emissions in the FIA World Rally Championship. The production and distribution of GEM Fuel is executed by GUTTS in The Netherlands. Het bericht GEM Fuel powered Drive DMACK Trophy teams show exciting action in Germany verscheen eerst op Gutts. Trier (Sunday) – The British pairing of Tom Cave and Craig Parry eclipsed their previous results to become the second crew to take victory in the Drive DMACK Fiesta Trophy after a clever and careful performance on round four at ADAC-Rallye Deutschland this weekend. The victory came after a final-day twist which saw rally leader YerayLemessidelined with mechanical problems allowing Cave and Parry to sneak through and take a well-deserved 3m 17s victory. Trophy leader Sander Pärn from Estonia finished second to hold a 29-point lead over Cave. The result sets up an exciting climax to the inaugural series with a thrilling duel between Pärn and Cave for the biggest prize in rallying planned for the final round in Spain. As expected, the switch to asphalt brought some of the more experienced tarmac drivers to the fore. Frenchman Quentin Gilbert was the early pace-setter, squeezing every ounce of power from his M-Sport-prepared Ford Fiesta R2 on the opening test on Friday morning. However, four stages later, the muddy conditions on the second pass saw him slip off the road and become stranded in a field. He returned to set fastest times on all of today’s final four stages. Spaniard Lemestook over the lead from stage two. He dominated throughout Friday and Saturday’s tough tests to score eight stage wins but, in a cruel twist of fortune, retired on a liaison section after stage 15 Sunday morning when alternator problems robbed him of victory. That left Cave in pole position to cruise through the final stages today, overcoming the treacherous conditions to take victory after driving a clever and controlled event on his ADAC-Rallye Deutschland debut.Pärn consolidated his lead at the top of the Trophy standings with a fine second place, creating a final-round showdown between Cave and Pärn in October. The winner will be rewarded with an unbeatable seven-round programme in next year’s FIA WRC 2 Championship in a Ford Fiesta R5. Despite rolling on the unforgiving Panzerplatte stage and dropping around three minutes, Belgium’s Ghislain de Mevius used his asphalt knowledge to deliver another solid drive and his second podium of the season. Pole SzymonKornicki finished fourth, his best result of the year, while Finland’s Max Vatanen rounded off the top-five. Lebanese driver Nicolas Amiouni finished sixth with an improved performance while Nil Solans fought back to seventh after retiring on Saturday when he damaged the suspension on his GEM Fuel-powered Ford Fiesta R2 in a collision with a huge stone. Canada’s Leo Urlichich had another problem-filled rally. He completed Saturday’s stages but retired on the first run today with a damaged drive-shaft. This edition of Rallye Deutschland was one of the toughest in recent years. The range of different surfaces, from twisty vineyard tracks to abrasive and slippery tank-training ranges, proved a real challenge. The event was based in Trier, Germany’s oldest city, and saw crews race through the slippery Saarland roads over the three-day event which offered 315km over 17 competitive stages. Extensive corner-cutting pulled out mud and gravel making roads treacherously slippery and adding to the arduous asphalt challenge. Het bericht Sander Pärn scores hat-trick in Rally Finland after heroic battle verscheen eerst op Gutts. Jyväskylä (Sunday) – After a heroic battle for honours in the fast and furious WRC Rally Finland 8 out of 11 Drive DMACK Fiesta Trophy teams that started the rally on Thursday reached the finish in Jyväskylä this afternoon. Estonian Sander Pärn scored a hat-trick with his third consecutive win after already been unbeatable in Portugal and Poland earlier this year. The Drive DMACK Fiesta Trophy saw many different leaders. It all started Thursday afternoon when 11 Fiesta’s took the start; Canadian Leo Urlichich and his new British co-driver Darren Garrod were forced to retire early, following an injury sustained by Garrod during that morning’s pre-event test. Local hero Max Vatanen took an early lead. He was soon followed by José Suárez, but Vatanen regained first position and was the overnight leader. Friday saw the second day of action in Rally Finland. British driver Tom Cave showed an impressive run of form, posting quickest times on three of the four stages held in the morning. Cave took an overall lead 14.6sec into the afternoon repeat loop of stages. Norwegian driver Marius Aasen was second with +14.6 and Estonia’s Sander Pärn just 0.1sec behind. Max Vatanen struggled to hold on to his position, gradually dropping down the rankings to finish fourth overall at the midday service park halt. Quentin Gilbert of France posted his first fastest time on stage eight, denying Cave a clean sweep of stage wins. Friday afternoon Tom Cave managed to hold on to his leading position, with Sander Pärn moving into second position after a strong drive during this afternoon’s competitive stages, with Marius Aasen in third. With the bit between his teeth, Estonia’s Sander Pärn came charging out the gates on the third morning. With only 20secs to make up, the current Trophy leader caught a touch of luck when overnight leader Tom Cave dropped 18sec when he was forced to overtake the car in front, which was struggling with a puncture. By the end of SS15 Pärn was ahead, leading Cave by 6.6sec. With his confidence high, Pärn took four wins from the five opening stages on Saturday. French driver Quentin Gilbert took his fourth stage win and moved up to third. The difficult conditions proved problematic for Tom Cave when he damaged his suspension and was unable to continue that day. José Suárez’s difficult rally came to a dramatic and early close when he rolled his R2 Fiesta just 300m past the point where Cave stopped earlier. With Caves early exit, the pressure on overall leader Pärn reduced, with the Estonians nearest competition over three minutes behind. Subsequently Pärn eased off the pace, sacrificing any potential stage points for the security of finishing the stages safely. On the last day of the rally Sander Pärn easily maintained the lead and thus claimed his third consecutive victory (after Portugal and Poland). The Estonian driver is in a comfortable lead, since runner-up Tom Cave only finished in 6th position in Finland. Behind Pärn French driver Quentin Gilbert did remarkably well gaining confidence throughout the event which resulted in second place at the finish and jumping from the last position in the championship standings up to 5th place. Yeray Lemes (Spain) was pleased with his third place – he is now just 5 points adrift from Tom Cave in third place. Het bericht Double Top As Pärn Extends Drive DMACK Fiesta Trophy Lead In Poland verscheen eerst op Gutts. Estonia’s Sander Pärn delivered a stunning display of driving at Rally Poland this weekend to secure his second consecutive win on round two of the Drive DMACK Fiesta Trophy. Guided by co-driver James Morgan from Wales, 22-year-old Pärn was fastest on nine of the 21 gravel stages to win by 30 seconds and extend his championship lead to 19 points. In a repeat result of the opening round at Rally Portugal in April, Brits Tom Cave and Craig Parry finished in runner-up position, setting four quickest times along the way. Spaniards Yeray Lemes and Rogelio Penate completed the podium places to edge into third in the overall Trophy standings. The feeder series to the FIA World Rally Championship continued its theme of close competition with seven of the 12 drivers claiming fastest times over the weekend. When the rally burst into life on Thursday afternoon, Frenchman Quentin Gilbert moved into the early lead, finishing just 0.4 seconds ahead of Pärn. However, Gilbert’s rally ended in retirement after crashing his M-Sport-prepared Ford Fiesta R2 heavily into a tree on stage six. Spain’s José Suárez had held third position for most of the event but he eventually retired with a broken engine after a pace-note error saw him roll off the road on stage 14, causing extensive damage to the car. In a bizarre twist, Marius Aasen, the next competitor on the road, collided with Suárez as he rejoined the track, with Aasen then sidelined after breaking his front suspension. Finn Max Vatanen had a consistent and trouble-free rally as he cruised to fourth place – topping the times on two stages along the way. Local driver Szymon Kornicki, competing on his home round of the WRC, used his knowledge of the Polish roads to steadily up his pace and finish fifth. Nicolas Amiouni from Lebanon came home in sixth with Nil Solans seventh and Aasen eventually eighth. Leo Urlichich and Ghislain de Mevius both retired after a number of problems. In contrast to the technically demanding and abrasive stages of Rally Portugal, this weekend’s event saw competitors race across smooth and soft gravel roads around Mikołajki in the north of Poland. But the sandy roads brought their own challenges and, when the rally trekked across the border into Lithuania on Friday, two stages were cancelled when the deeply rutted roads were considered too rough to safely compete on. The stages through the Polish countryside are renowned for their high speeds and high-commitment corners. Drivers needed to have precise pace-notes to carry speed through corners and onto the long straights while DMACK’s gravel tyre delivered the performance and puncture resistance to safely negotiate the rutted roads. While the drivers raced using identical Fiestas built and maintained by M-Sport, Rally Poland saw the cars powered by sustainable race fuel, provided by the Trophy’s official partner GEM Fuel, for the first time. In addition to the main event, four competitors took part in the Drive DMACK Fiesta Shoot Out with Luxembourg’s Hugo Arellano taking the winning spot in the end of year Shoot-Out for a prize drive in a Fiesta R5. Het bericht Q&A! GUTTS in het Belgian Rally Championship verscheen eerst op Gutts. Vanaf 2014 vrijblijvend en vanaf 2015 verplicht zal het Belgian Rally Championship een vast brandstof leverancier kennen. De RACB heeft deze keuze gemaakt om veiligheid, betaalbaarheid, gelijkheid en duurzaamheid in de rallysport te vergroten. Dit betekent dat er vanaf nu een aantal dingen gaan veranderen voor deelnemers in en aan het Belgian Rally Championship. Alles met als doel de situatie rond brandstoffen in de sport veiliger, makkelijker en (uiteindelijke) betaalbaar te maken. Hieronder de belangrijkste vragen en hun antwoorden! GUTTS is producent en leverancier van duurzame racebrandstoffen. Sinds wanneer is GUTTS met duurzame brandstoffen bezig in de auto-/motorsport? Bezorgd op ieder adres in de Benelux voor €2,49 per liter in vaten van 200L. Zie www.gutts.nl/shop. Bezorgd op ieder adres in de Benelux voor €2,69 per liter in vaten van 200L. Zie www.gutts.nl/shop. Wat is duurzame methanol en ethanol? Duurzaamheid in bio-brandstof wordt bepaald door twee zaken; de grondstof en de wijze waarop het geproduceerd wordt. Bio-ethanol die GUTTS gebruikt in haar brandstoffen is vervaardigd uit 100% bio-massa afvalstromen, denk hierbij aan oneetbare delen van graanproductie, GFT afval, houtachtige groen afval, etc. Duurzame Methanol is zelfs nog spectaculairder, GUTTS gebruikt hiervoor zogenaamde Vulcanol, een methanol die vervaardigd wordt uit het broeikasgas CO2. Deze methanol heeft een CO2 reductie van maar liefst 97% ten opzichte van reguliere benzine. Is GEM Fuel hetzelfde als E85? Nee, het grote verschil tussen E85 en GEM Fuel is dat E85 sterk wisselt in specificatie aan de pomp, het wettelijk minimum is 71% ethanol en het maximum 85%, deze ruimte wordt door pompaanbieders gebruikt om prijsdeviaties in de markt op te vangen, soms is ethanol duurder dan benzine en soms andersom, deze wisseling is willekeurig. GEM Fuel heeft altijd dezelfde specificatie en een motorafstelling kan dus nauwkeurig en onveranderd kan blijven gedurende een heel seizoen. Wat zijn de voordelen (milieu) van GEM Fuel? Voor de liefhebbers valt op www.gemfuel.com een uitgebreide analyse te lezen van GEM Fuel en haar duurzame prestaties. In het kort; de componenten in GEM Fuel vormen samen de best mogelijke en meest duurzame varianten die er op het gebied van duurzame brandstof is te vinden en zijn 100% ISCC gecertificeerd duurzaam. Wat zijn de voordelen (prestatie) van GEM Fuel? GEM Fuel heeft altijd dezelfde specificatie en een motorafstelling kan dus nauwkeurig en onveranderd kan blijven gedurende een heel seizoen. Daarnaast biedt de gebruikte methanol in de brandstof het voordeel van een hoog octaan (117) en koel ontbrandende component die zorgt voor efficiënte en schone ontbranding in de motor. Daarnaast is gebleken in verschillende test dat GEM Fuel dankzij zijn hoge klopvastheid en octaan getal zeer goede prestatie levert bij de juist afstelling, vermogenstoenames van rond de 10% in vermogen en koppel zijn gemeten in zowel atmosferische als geblazen motoren. In welke autosportklasse wordt GEM Fuel nu al gebruikt? GEM Fuel kent een groot en groeiend aantal enthousiaste klanten en wordt reeds enige tijd gebruikt in diverse klassen in het Nederlands Rally Kampioenschap, de Nissan 350z challenge, de Drive DMACK Fiesta Trophy in het WRC, NK Rallycross, de RST Trophy en verdeeld over vele klassen in de autosport. Waar moet ik op letten bij gebruik van GEM Fuel? Een algemene noot is de volgende; ethanol en methanol zijn solventen en lossen dus olie en benzine resten op, wanneer u overstapt van het gebruik van een benzine naar GEM Fuel zal het kunnen zijn dat na een aantal uren draaien op GEM Fuel kleine resten van benzine in de diverse onderdelen (pomp, injectoren, leidingen, etc.) kunne oplossen en de doorstroom van brandstof kunnen blokkeren. Stel de motor af op GEM Fuel met de oude materialen en wissel daarna simpele elementen als een brandstof filter en laat uw injectoren een keer reinigen. Wat zijn de gevolgen van het verbruik voor de actieradius? Iedere wagen is uniek en kent een uniek set variabelen die het brandstofverbruik bepalen, in het algemeen is het zo dat in onderzoeken en ervaringen bij het gebruik van GEM Fuel uitgegaan dient te worden van een meerverbruik van tussen 15%-20%. Dit is echter geheel afhankelijk van type motor, drukvulling, afstelling, etc. dus zal per wagen verschillen. Moet ik mijn brandblussers aanpassen bij het gebruik van GEM Fuel? Eerst een misverstand de wereld uit helpen; men ziet GEM Fuel wel branden! GEM fuel bevat een percentage benzine, waardoor de vlam wel overduidelijk zichtbaar is, dit in tegenstelling tot alleen ethanol en/of methanol. Niet iedere brandblusser is even geschikt voor het blussen van een alcoholbrand. Doordat water met alcohol mengt, lost het schuim dat op waterbasis is, op in de alcohol en daarmee neemt het volume van de brandhaard toe. Om toch een alcoholbrand te kunnen blussen zijn speciale AR-AFFF (Alcohol Resistant- Aqueous Film Forming Foam) blussers te verkrijgen en deze zijn toegestaan door de FIA in handblussers en systeemblussers. Daarnaast bestaat er nog de poederblusser die ook geschikt is voor alcoholbranden. Laat u informeren door uw tuner of veiligheidsexpert. Waarom is er maar één (single) fuel supplier gekozen voor het BRC? Om de veiligheid tijdens het transport en de bevoorrading van brandstof te optimaliseren, heeft de RACB gekozen voor één vaste leverancier de brandstoffen die niet verkrijgbaar zijn bij een commercieel tankstation. De wijze waarop de brandstofvoorziening nu is georganiseerd werd benoemd als onveilig en vormt een risico voor de Belgische Rallysport, het risico op calamiteiten was te hoog. De opslag van brandstof bij teams zelf, het transport van brandstof naar en tijdens een rally en de refueling is nu een taak van ieder individueel team. Transporten geschieden vaak zonder correcte ADR papieren, in niet ADR gecertificeerde voertuigen en niet gecertificeerde verpakkingen en refueling crew. Deze opzet heeft behoefte aan verbetering om te zorgen dat de rallysport gevrijwaard blijft van calamiteiten. GUTTS zal vanaf 2014 het gehele proces van brandstof levering voor haar rekening nemen voor alle deelnemers; van het transport naar de rally, de refuel én retour transporten en dit alles geheel wettelijk gecertificeerd en uitgevoerd door gekwalificeerd personeel. Hoe bestel ik brandstof voor een rally? Zowel de GEM Fuel als de Hiperflo 300 kunt u op de liter nauwkeurig bestellen op www.gutts.nl . U klikt bijvoorbeeld op “GEM Fuel REFUELING SERVICES BRC” , selecteert het aantal liters dat u nodig heeft, u selecteert de wedstrijd waar u de brandstof nodig heeft en GUTTS zorgt dat uw auto bij iedere doorkomst bij de refuelzone wordt getanked met het door u aangegeven aantal liters. U krijgt bij aanvang van de wedstrijd én na afloop een email met daarop de hoeveelheid liters die u nog tot uw beschikking heeft. Liters die overblijven aan het einde van de wedstrijd neemt u mee naar de volgende wedstrijd óf wij storten het bedrag terug op uw rekening. U kunt ook tot één week voor de wedstrijd brandstof bestellen, maar ook zal er een mogelijkheid zijn om bij de document controle voor de wedstrijd nog te bestellen. GUTTS is aanwezig bij iedere document controle, u betaald dan bovenop de reguliere prijs een opslag van €0,25 per liter. Voor de echte last-minute beslissers bieden wij zelfs de mogelijkheid om in de Refuelzone nog brandstof te bestellen en direct te betalen, u betaald dan bovenop de regueliere prijs een opslag van €0,45 per liter. Wie doet de refuel / tanken? GUTTS voorziet iedere refuel zone van een ervaren én ADR gecertificeerde refuel crew, zij zullen snel, veilig uw wagen voorzien van de correcte brandstof. Zijn er belangrijke wijzigingen in Reglementen! Inzake de wijze van refueling, toegestane brandstoffen, lokaties van tankzone en overige zaken adviseren wij de nieuwsberichten van de RACB én de diverse rally organisatoren in de gaten te houden. Waar kan ik apart brandstof bestellen voor testwerk? Naast de optie voor een geheel verzorgde refuel service is het natuurlijk ook mogelijk om losse brandstof te bestellen. GUTTS biedt haar brandstoffen aan in drums van 60L en 200L en bezorgd in de gehele Benelux. Ga naar www.gutts.nl/shop voor de mogelijkheden. Waarom is de brandstof op de rally/refuel duurder dan bestellen op de site? GUTTS gebruikt de meest hoogwaardige materialen, veiligheidsvoorzieningen, online orderverwerking én ervaren personeel. Om deze service te kunnen bieden en daarmee de veiligheid én het gemak tijdens een rally te verhogen dient het gehele pakket aan maatregelen ter plaatse en op gebouwd zijn. Deze kosten komen bovenop de kosten van de brandstof zelf en vandaar dat deze prijs hoger. Let op! De RACB heeft alle aanbieders van brandstoffen gevraagd een aanbieding te doen, met prijs/kwaliteit als belangrijkste voorwaarde en GUTTS heeft de beste aanbieding neergelegd. Iedere wedstrijdorganisator zal in de reglementen of via een bulletin bekend maken waar de Refuel zone (RZ) te vinden is. Wanneer er een noodzaak is voor een zogenaamde Remote Refuel Zone (RRZ) zal ook deze door GUTTS worden verzorgd. In samenwerking met de organisator zal getracht worden de RZ zo dicht mogelijk bij het Service Park te zetten, zodat de berekeningen voor lengte, rijtijden en brandstof verbruik zo eenvoudig mogelijk zijn. Houdt de website, routeboek en bijzondere reglementen van de organisator in de gaten! Waarom is deze refueling veiliger? GUTTS maakt gebruik van bijzonder veilige mobiele tankunits, deze zogenaamde Transcube zijn dubbelwandig, volledig ADR, UN, KIWA en VLAREM II gecertificeerde units die 3000L brandstof kunnen bevatten. Deze units zijn voorzien van geïntegreerde pompen en tal van veiligheidsvoorzieningen. Dit totale pakket vergroot de veiligheid op een refuelzone aanzienlijk. Daarnaast is de gehele logistiek conform huidige ADR regels voor vervoer en handling van gevaarlijke stoffen geregeld, dus lopen teams die gebruik maken geen enkel risico op hoge boetes of, erger nog, gevaarlijke ongelukken.